Come on now stop and think about what you’re saying here and do the math. 3.5 million rounds is not that much and yes the majority of TSO don’t carry weapons BUT Federal Air Marshals do and they are part of the TSA. I am a private citizen that conceal carries and I practice every week a couple of hundred rounds. Don’t you think Air Mashalls would practice at least as much as the average civilian concealed carry person? 200 rounds a week for 52 weeks is 10400 rounds a year for each shooter. That means 3500000 rounds TSA bought would provide for only 335 Air Marshals if they shoot just 200 rounds a week. This is BS alarmist propaganda and the only intent is to scare the crap out of people. Use some common sense people and don’t let idiots do your thinking for you. You are correct, Air Marshals are part of TSA. However, I am an Infantryman. My job is to fully proficient with my weapon so that I might deploy, engage and destroy the enemies of my country. I shoot somewhere in the range of 1000-2000 LIVE rounds a year. Police officers shoot about the same. Why would an Air Marshal be any different? When Police Officers practice, it’s maybe one to two magazines a week. They qualify on their side arm twice a year. Bear in mind this does not include SWAT units. Plus, its not a normal government issued round, i.e. 9mm or .45 ACP. It’s .357 SIG which is most definitely an oddball round even in the civilian market. It seems you didn’t read my subsequent comments in which I explained that the Federal Air Marshals probably source their ammunition through the larger Homeland Security ammo purchases. I’m sure you shoot 1,000 – 2,000 rounds a year, and am glad you do – hopefully a few of them are in a more exciting environment than on a square range, too…… But I really don’t think many police officers do the same. As you say yourself, qualifying twice a year, with typically a dismayingly easy course of fire. Maybe some police officers shoot a lot, but probably it is a personal activity and personal cost. Most don’t. But that’s another issue entirely. We’re not talking about police ammo consumption, nor infantry ammo consumption, nor even FAM ammo consumption. We’re puzzling over the TSA’s ammo consumption. It is always interesting to see how ‘other’ people think and respond to facts – and it is a shame that you start off by referring to the fact of the 3.454 million round tender/purchase as BS propaganda, because clearly it is a matter of record and fully factual. It is correct that the Federal Air Marshal service is currently a part of the TSA, but my sense is that previously and possibly even currently their ammunition requirements have been bundled in to the billions of rounds of ammo being purchased by the Department of Homeland Security, which is the parent agency for both the TSA and the FAM. So why is the TSA now buying ammo separately? The DHS had formerly said, in an attempt to justify its billions of rounds of ammo being purchased, that it was buying on behalf of all its many different agencies. Did the DHS lie when it said it was buying on behalf of all its subsidiary agencies? Or is it now ‘doubling up’ on ammo, simultaneously buying ammo itself and having its subsidiary agencies starting to buy ammo too? Now lets move on to your suggestion that average citizens with a concealed carry permit shoot 200 rounds a week. I’m not denying that you do, but I surely know that most other CWP holders do not. Although I’m an NRA certified trainer in multiple disciplines, and the holder of various marksmanship awards, and clearly I’m a strong advocate of people being effectively trained, I don’t think there is any need for people to shoot 200 rounds a week to maintain their skills (and I certainly don’t). Two words : Dry firing. Train like the professionals train – do dry firing drills. Buy yourself a SIRT training pistol (I’m also a qualified SIRT instructor) and you’ll save yourself the cost of it in a couple of weeks with reduced ammo consumption. It is propaganda to imply that these are extreme amounts of ammo to but for these agents when clearly if you do the math it is a couple of hundred rounds a week for training and practice. Even the amount of rounds that HLS buys if you break it down to the number of armed agents they have is only a few hundred rounds a week for each person. 750 rounds per year? Do you shoot guns? My magazines hold 16 rounds each and I carry two spares plus the one in the pistol. I practice using IDPA scenarios and in one practice session 200 rounds would let me reload them 4 times. I would imagine any federal agent worth his salt would burn through at least as many rounds as I do to stay in top form should they be involved in a gun battle. 750 rounds a year would only let them shoot one magazine a week through their weapon. That is very little practice and I would consider someone like that unacceptable to law enforcement where they are a 100 times more likely to be involved in a gunfight than someone like me. The propaganda comes in when you say stuff like this to make it sound like an alarming amount of ammo being bought and used and the only reason to do this is to terrorize people and whip up fear and anxiety over nothing. Believe me when I say I am no fan of government or any of the alphabet soup gangs but this kind of stuff is done to purposely mislead and scare people is shameful manipulation plain and simple. Yes, let’s do the math. 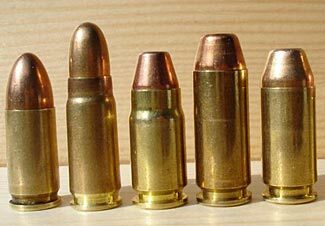 Homeland Security have sought tenders for multiple orders of ammunition; I’m not sure what the total quantity is, but it is something over 1.6 billion rounds and sometimes claimed to be in excess of 2 billion. Let’s settle on the 1.6 billion. HSD has about 200,000 employees. I’ve no idea how many of them carry guns, but let’s say half (the real number is probably much less). Now to douse your ideal world with more reality. Federal agents probably requalify with their pistol twice a year, with a 50 round requalification course. Add half a day of training (another 200 rounds for that, max), and you’re at 500 rounds required. IDPA is a sport that people play for fun. Most federal agents have little interest in their guns and will probably go their entire career and never fire them ‘for real’ (when was the last time you read of a federal agent actually using his gun for real – and, more to the point, when did any branch of Homeland Security need to fire their side-arms?). They do the minimum amount of shooting to keep current, and no more. If they do, then it is probably on their dime and with their ammo. Remember that Obama wanted to establish a Civilian Security Force just as powerful as the US Military back during the campaign of 2008? We are seeing the backdoor method of setting up the alphabet soup of federal agencies to be that civilian force. Along with the militarization of the local law enforcement with the different military transport vehicles that federal grants are allowing them to buy. Right under the peoples nose’s the machine of totalitarianism is being assembled. Again I say WAKEUP!!! OPEN YOUR EYES!!!!! Connect the dots and prepare. I fully agree with you. In fact my lifelong best friend was an instructor at the FLETC down in GA and a fed for more than 3 decades and he has argued as your detractor here with the same foolish excuse of need for re-certification constantly, when I have brought up the 1.6 Billion rounds. No normal shooter, LE or civilian, shoots anywhere near that. Time will tell…. Earth Narrowly Avoided a Global Solar EMP Event in July Was This Just Vandalism?